What Can You Shove In a USB C Port? Take a close look at the ports on your laptop. If you bought one in the past year or so, you’ll notice that there’s a tiny, rectangular port you’ve probably never used. That’s the USB-C port What Is USB Type-C? What Is USB Type-C? Ah, the USB plug. It is as ubiquitous now as it is notorious for never being able to be plugged in right the first time. Read More . There’s a lot to love about USB-C (also known as USB C and USB Type-C). This long-overdue change to the physical design of USB connections has shrunk them dramatically, allowing computers to become thinner, and cram more USB connections into the same limited space. Sadly, the pace of adoption of USB-C hasn’t been as fast as perhaps many would like. A large part of that is because the ports are typically only found on medium- to high-end computers. You won’t see them on one of the bargain-basement Windows 10 netbooks littering Amazon and Best Buy. As a consequence, there aren’t that many USB-C peripherals on the market. The ones available are pretty exciting, though. From hubs to external hard drives, here are what you can get right now, and how much it’ll cost you. It shouldn’t come as a surprise that the most common USB-C peripheral you’ll find on Amazon is a USB hub. After all, take a look at the highest-profile device that includes it: the MacBook (is the MacBook’s single port enough? Should the New MacBook's Single Port Scare You Away? Should the New MacBook's Single Port Scare You Away? Apple recently revealed the new MacBook, and it's a jaw-dropper — but it also has only a single port. Was this a blunder, or a sign of the future? Read More ). Released just last year, the new MacBook features gorgeous, svelte design, but packs a mean price tag. Apple’s latest laptop is unabashedly aimed at fashion-conscious consumers rather than the traditional Cupertino heartland of power users. As a result, it comes with a number of interesting design quirks. 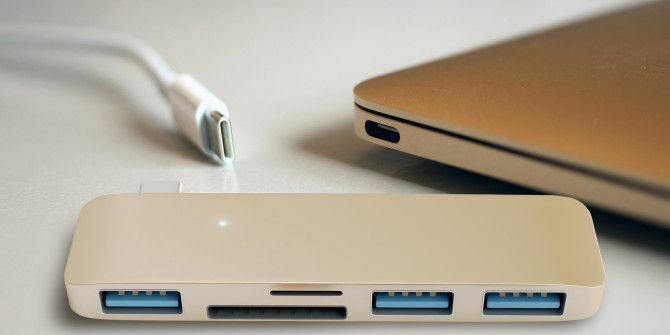 Perhaps the biggest is that it doesn’t include a single connectivity port, save for the one USB-C port How To Add Missing Ports To Your New MacBook How To Add Missing Ports To Your New MacBook Sometimes you just need more ports, particularly if your laptop only has one connector. Here's how to add them to your new MacBook. Read More which also charges the laptop. If you want to plug in a keyboard, mouse, or an SD card, you’re going to need to plug in a hub How To Add Missing Ports To Your New MacBook How To Add Missing Ports To Your New MacBook Sometimes you just need more ports, particularly if your laptop only has one connector. Here's how to add them to your new MacBook. Read More . The Direct Premium 5-in-1 hub is the ideal hub for MacBook users. It comes with two USB-3 ports, an SD/MMC, and MicroSD slot, and an additional USB-C port to charge the device. But unlike many other hubs on the market, it blends into the MacBook and comes in the same color schemes. You can get it in Gold, Rose Gold (whatever that is), and Space Grey. Another USB-C hub worthy of consideration is the Anker Premium 3-Port USB Hub with Ethernet Adaptor. With many hotels only offering free Internet access through a wired interface, this is essential for any MacBook-toting road warrior. The pièce de résistance of the USB-C hubs is the IVSO USB-C 3.1 Docking Station. This comes with a ludicrous amount of connectivity, including HDMI, VGA, audio out, 7 USB ports, and Ethernet. Of course, it’s worth pointing out that these devices will work with any USB-C enabled laptop and not just the latest MacBooks. I think most people who own an Apple laptop owe a debt of gratitude to MagSafe. This Apple-exclusive technology is found on their power cables. It connects the cables to the laptops through a magnetic connection. If a person, or pet, trips on them, the only thing that will happen is the laptop disconnects from the power. The machine won’t come crashing down to terra-firma, as would be the case with traditional power sockets. But the new MacBook laptops do not support it. Neither do the USB-C-powered Chromebooks, like the gorgeous (and also really expensive) ChromeBook Pixel. Enter the Griffin Magnetic USB-C Power Cable. This essentially brings MagSafe technology to these laptops. Sure, it’s way more expensive than getting a bog-standard USB-C cable from Amazon, but it’s probably cheaper than buying a new laptop if it were to crash on your kitchen floor. 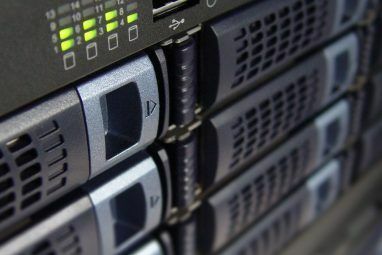 There’s a growing trend for laptops – especially the more expensive ones – to ship with hardly any storage. If you’ve got a spare USB-C port, you might as well shove a bit of removable storage in it. Unsurprisingly, there’s now a number of external hard drives and USB-flash drives which support the tech. At the highest (and gaudiest) end is the USB-C equipped Lacie Porsche Design hard drive. This comes in 1TB, 2TB, and 4TB versions, which each cost $109.99, $149.99, and $229.99 respectively. For those with lighter pockets, there’s the Sandisk Ultra Type-C 128GB flash drive. This comes with blazing-fast flash storage, with write speeds as high as 150MB/s. Because it’s using the USB-C connection, in addition to being used with your laptop, you can also connect it to your phone or tablet through USB OTG What Is USB OTG? 5 Cool Ways to Use It on Android What Is USB OTG? 5 Cool Ways to Use It on Android What is USB OTG and how can you use it on Android? We explain the feature and the many ways to utilize it. Read More . But Wait – Are They Safe? 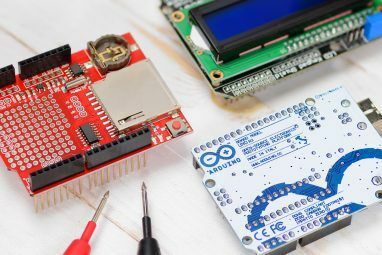 USB-C gear has earned itself some bad press recently after Benson Leung – an engineer at Google – utterly fried his Chromebook Pixel and two USB PD devices after connecting them to a faulty charge cable. The cable – produced by Surjtech, who I’ve never heard of before – was “completely miswired“. The incident ended up being reported everywhere: Engadget, The Verge, Ars Technica, and beyond. It was a high-profile disaster for USB-C – the type that is often fatal for emerging technologies. Despite that, I wouldn’t let this one incident influence your buying decision. This was one isolated event which involved a single product that was sold by a dodgy company. For each fly-by-night firm trying to make a quick buck by selling shoddy gear, there are just as many reputable companies, like Anker and Sandisk, who are in it for the long-haul. Have you managed to get your hands on any sweet USB-C gear? I want to hear about it. Drop me a comment below, and tell me what you got. Explore more about: Buying Tips, MacBook, USB. 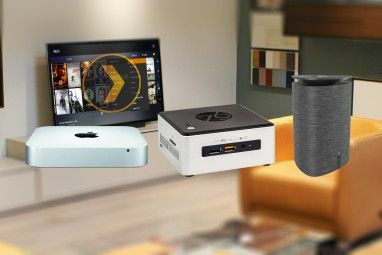 The Best Prebuilt, DIY, and NAS Solutions for a Plex ServerWhat’s the Best Phone Tripod? So, with c hubs...can you charge computer and get data throughh at the same time, if you only have one USB port? There are also USB-C Screens with in Build charging and Hubs. That's the most awesome thing about USB-C!! Just plug in one wire at your work station and all is set up!